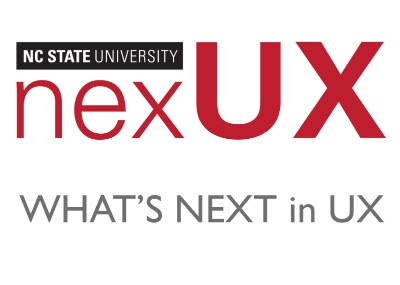 User Experience @ NCSU: Announcement: another nexUX meetup on wearables today. Come for extra credit. Announcement: another nexUX meetup on wearables today. Come for extra credit. Another nexUX meetup today at 3, with matching extra credit. Please come out if you can! Jesse is a really interesting speaker at the forefront of a coming wave of smart clothing. In the near future, technology won't only be found on our wrists, but in our clothes. It will measure, draw its power from, and put user interface on our bodies. How will this technology change our lives? How might we use it to improve them? In this meetup we'll introduce this technology, and consider its implications. Jesse Jur is an Assistant Professor in NC State's college of textiles. His research targets the development of materials processing methods for nanoscale inorganic integration with polymer-based materials, including nonwoven textiles. Applications for his research include new electronic textiles that respond to chemical, photo and mechanical environmental changes, as well as the enhancement of the mechanical and thermal stability of modified fiber systems.